The Blog has chronicled some interesting criminal behavior in the past year. To date, the most notable goes to the man charged with selling marijuana from his ice cream truck. While the frozen treat salesman turned drug dealer still holds the dubious honor of most unorthodox criminal, a recent attempted theft in Frederick does put up a challenge. Police reported that multiple unidentified thieves drove a stolen truck into a supermarket in order to carry out their plan to steal an ATM machine. The truck was stolen about an hour before the crime was committed, and police are investigating how and where it was taken. By driving a truck into the store, we do not mean through some sort of large gate or opening. The stolen truck actually was driven through windows and brick wall lining the front of the store. And while the perpetrators were able to gain access to the interior of the supermarket, they were not able to carry out the second part of their brilliant plan to steal the cash machine. After the thieves failed to get the ATM into the flatbed of the hot Ford F550, they fled the scene and left the large truck inside the store. Frederick County police have not revealed whether they have identified suspects in the attempted theft, but they are looking for at least two individuals. Cops went back to the scene of the truck theft in order to search for clues about the possible identities of the would be thieves. If the suspects are apprehended they will face a host of criminal charges including attempted theft, burglary, unlawful taking of a motor vehicle, and malicious destruction of property. The attempted theft charge would likely be a felony due to the value of the ATM machine and its contents. The suspects could potentially face more serious charges such as reckless endangerment if anyone was in or around the area where the truck was driven into the store. While bold and difficult to pull off, hatching and carrying out a plan to steal an ATM machine is not as rare as one would think. 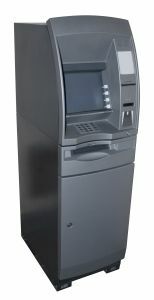 The modern day popularity of smaller, freestanding ATM machines has made them a target for thieves looking to acquire a quick stash of cash. These machines are located in all types of stores including convenience stores and supermarkets that have much less security than banks. When the smaller machines first started popping up they were not always secured to the ground with any sort of locking mechanism, and many of these early theft attempts were successful. Nowadays, most machines are secured to the ground or the wall to make them more difficult to steal, and thus many theft attempts, including this latest one in Maryland, have failed dramatically. It is not clear in this particular case how the suspects actually tried to wrangle the ATM machine from its home in front of the supermarket, but a common tactic is to chain it to the back of a car or truck and try to pull it out of the ground. Judging by the size of the truck used, and the carnage in the front of the store, this seems like the route the unsuccessful thieves took. 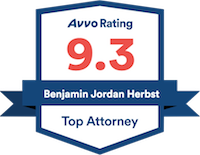 Benjamin Herbst is a theft and burglary lawyer practicing in all Maryland jurisdictions. Contact Mr. Herbst at 410-207-2598 for a free consultation about your case.